Daviz Simango, mayor of Beira on the Mozambican coast, had worked to shore up the city’s climate defences, drawing on World Bank help to build deterrents against rising seas, flooding and storms. Packing winds twice the speed Beira was built to withstand, the superstorm swamped the city’s drainage system, overwhelmed its floodgates and mocked its brand-new basin, designed to hold storm water. “We have never seen this before. 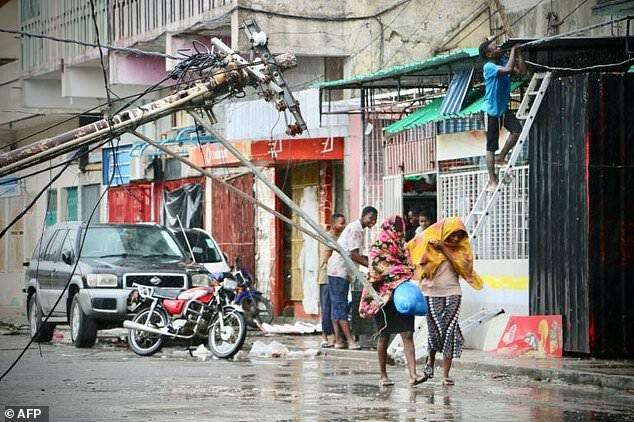 Our infrastructures were prepared to handle winds up to 120 kilometres (75 miles) per hour, but this time we were subjected to winds of 240 kph,” the mayor said. But many would agree that Cyclone Idai is entirely consistent with scenarios about the impact on weather systems of global warming — the relentless buildup of heat-trapping greenhouse gases emitted by burning coal, oil, and gas. A study in the journal Nature last November said average global warming of one degree Celsius (1.8 degrees Fahrenheit) to date had boosted the amount of rain that hurricanes, typhoons and cyclones produce, and warned such storms will become wetter and windier in future. The world’s nations agreed in 2015 to cap the global rise in temperature at 2C from pre-Industrial Revolution levels. “We can say with certainty: tropical cyclones will become more intense under global warming. And very strong tropical cyclones will become more frequent,” physics professor Anders Levermann from the University of Potsdam in Germany told AFP. 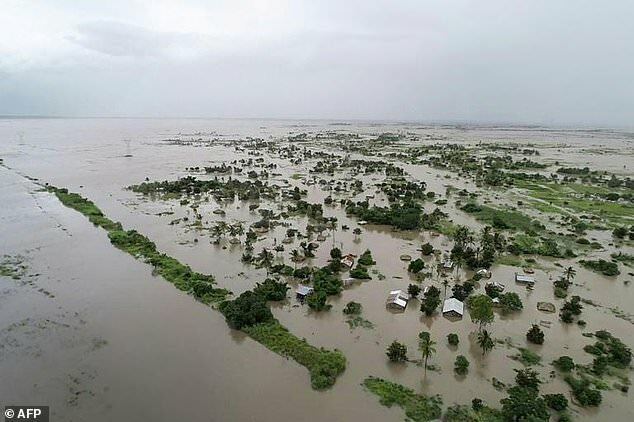 But Mozambique is vulnerable, with a sub-tropical climate, a nearly 2,500-kilometre (1,600-mile) shoreline and entrenched poverty that makes it hard to raise funds for climate resilience or emergency response. Prior to Idai, Simango had overseen projects funded under a $120-million (106-million euro) credit from the World’ Bank’s International Development Association. The work including rehabilitating the water drainage system, upgrading and building 11 kilometres (seven miles) of canals, creating floodgates, and building a large water retention basin. These projects were supposed to mean “the end of the suffering of a whole population,” Simango said last year. Idai “may turn out to be one of the deadliest weather-related disasters to hit the southern hemisphere,” according to World Meterological Organization (WMO) executive director Petteri Taalas. It sent “yet another alarm bell about the dangers of climate change, especially in vulnerable, at-risk countries”. In 2000, southern parts of the country — including the towns of Chokwe and Xai-Xai — were completely submerged following heavy rains brought by cyclone Eline. Some 800 people were killed. Simango is determined to forge ahead with his plan to raise Beira’s storm readiness. “Now we have to adapt and we have to create conditions that allow us to mitigate this situation… these types of strong winds,” he said. 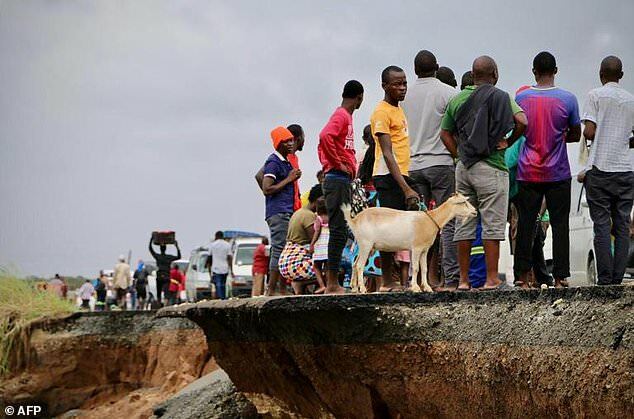 Last month, the World Bank approved a $90 million grant for the Mozambican government’s natural disaster resilience programme. “Without changes in climate and disaster risk management and financing policy, climate change is expected to cause economic damages of up to US$7.4 billion during the period 2003-50 in Mozambique,” it said.